For Alexandria Bassett, junior organizational communication major, becoming vice president of campus relations for SGA would mean making sure more students are involved on campus. Some changes she plans to implement if elected are informing more students about elections, getting more participation at campus events and tripling this year’s numbers from Road Rallies. Bassett’s main goals are to increase student involvement and student retention. The Memphis native believes her honesty and concern for her campus makes her the best person for the job. 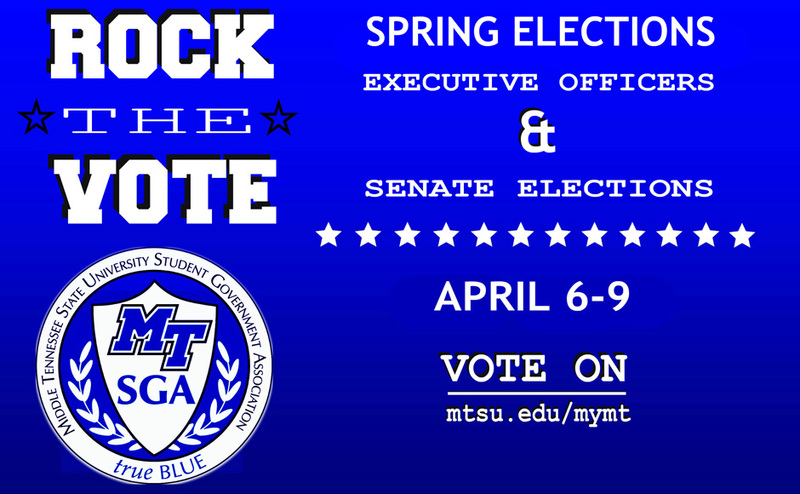 She was involved in SGA at her high school and has served on MTSU’s SGA for four semesters. Bassett has planned many successful events for past organizations and plans to use the skills she has acquired if elected.